Divorce recovery is a process that takes a lot of time and meticulous self-care. It is a process that oftentimes takes guys longer to bounce back from than women. There are numerous factors that make moving on after divorce so difficult. When you get married and start a family, you think you have your future figured out, but divorce flips your plans upside down, forcing you to start from scratch and rebuild many of the most important aspects of your life. However, surviving divorce is possible, no matter how nasty things get between you and your ex. Divorce recovery is a slow process, but with patience, focus, and really hard intentional work, you can do it. Here are some tips and strategies that should help you figure out how to cope with divorce and avoid post-divorce depression. One of the toughest parts of divorce for fathers is that too often dads get the short end of the stick in child custody decisions. Despite the shared parenting movement’s enormous progress, many judges still default to automatically awarding primary custody to mothers. This is why it is important at the very beginning of the divorce process to get in touch with a family law attorney who focuses on fathers’ rights. Divorce is uniquely challenging for dads, so you should make sure you hire an attorney who understands what you are facing. Regardless of what your child custody arrangement ends up looking like, you should use the time during and following a divorce to focus on becoming the best father you can possibly be for your children. Doing everything you can to ensure your children have an active and engaged father involved in their lives is one of the best things you can do to offset the negative impact divorce can have on children. While research shows that children of divorce are at risk for an array of negative consequences, the root cause of those ramifications has more to do with how the divorce affects their relationship with their parents rather than the event of divorce itself. Depending on the age of your children, they might initially end up with some hard feelings toward you after your divorce. It is possible they blame you for the breakup and harbor resentment. It is critical for you to acknowledge the emotions they are feeling and give them an outlet to vent, whether that is to you, a trusted family member, or counselor. By encouraging open communication and honesty, you can start to rebuild trust with your children. Another big part of being a good father to your children in the aftermath of divorce is working with your ex to establish a strong co-parenting relationship. 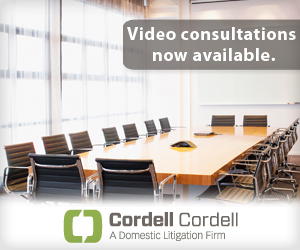 This can be particularly tough if your divorce was not amicable. Even if you and your ex have hard feelings, you need to agree to put your differences aside so that you can effectively co-parent. Your children’s well-being should be the top priority for both of you. Effective co-parenting requires clear communication, flexibility, and cooperation. If your ex refuses to cooperate, you might need to consider a parallel parenting arrangement, which is a high-conflict co-parenting model designed to shield children from whatever disagreements their parents might have. If you are unable to obtain a 50/50 custody arrangement and are only allotted a limited amount of parenting time or visitation, then you will need to do what you can to make the most of the amount of time you do have with your children. With such a limited amount of time, it might be tempting to try to turn every outing into a special occasion, but avoid becoming a “Disneyland Dad” and instead concentrate on building meaningful connections with your kids. The stress and emotional turmoil of the divorce process results in some very serious health risks for guys. Divorce increases the rate of early mortality for men by up to 250 percent. Studies show divorced men have increased rates of cardiovascular disease, hypertension, depression, suicide, substance abuse, and cancer. Divorce is so draining that it becomes very easy to shut down. At the end of the day, you might just want to crash on the couch with some beer, pizza, and Netflix. There is nothing wrong with taking an occasional night to regroup and veg on the recliner, but don’t make that habitual. There is a very strong relationship between body and mind, and exercise is proven to be one of the best reducers of stress and anxiety. So hit the gym, go for a bike ride, walk around the park, or even jump into a pick-up basketball game with some buddies. Just make sure you are staying physically active, even when you do not feel like it. You also will want to make sure your diet doesn’t tank. According to a study published in Social Science & Medicine, male nutrition tends to decline after breakups. If your wife did all the cooking in your relationship then you will need to learn how to cook healthy meals for yourself. Just as important as keeping yourself physically fit is looking after your mental health. 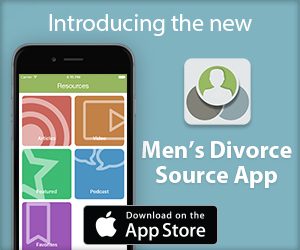 Many guys battle depression and anxiety after going through a divorce. These are issues that can spiral if you fail to get the support that you need. Some men really struggle opening up about their relationship issues, so it might be worth enlisting the help of a licensed mental health professional. You also might consider taking up practicing mindfulness and daily mediation, as it is widely considered one of the best ways to cope with stress and anxiety. Striving to become a better parent and taking care of your physical and mental health all tie into the larger picture of overall personal development. When you were married, your relationship with your spouse probably formed an enormous part of your identity. That all changes after divorce, but it also presents an opportunity for you to really focus on self-improvement. Now that you are single, you likely have more time to take up new hobbies that you always wanted to try. In addition to doing everything possible to become a better dad, you also can devote tremendous energy to advancing your career and putting yourself in a better financial position moving forward. The key to personal development is identifying specific areas of your life that need improvement and then coming up with a realistic strategy to make progress. So if career success is a goal of yours, maybe there is a promotion you can work for. If you feel getting into better shape is important for you, then set a weight-loss goal. Just make sure you are taking steps to keep your life moving in a positive direction. ← Do We Need An Attorney To Sort Out Child Support? I called off the divorce with my wife just for her to tell me she wished I’d hadn’t. I lost my car a week before Christmas and lost my job New years eve. And it seems she is taking joy in it. This article helped. Nice read and good info. It gets better Mauro 🙂 It really does. Exercise, eat right, get fit. Work on yourself mentally and emotionally. Love your kids and step up your parenting. And lastly, give yourself time to date and do NOT rush to get remarried. I will divorce through 2 weeks. Now I`m very dissapointed and a lot of drink a lot of alcohol. This post calmed me down a bit. Thank you! Sure that other articles will help me too.